Grocery shopping is always a must when I travel. And no matter how often I visit a given place. Great place to see how the natives live. 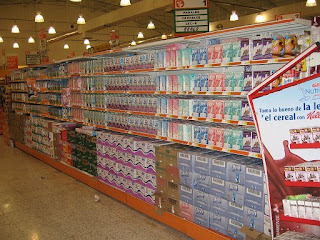 This time I discovered "la comercial", a sort of low middle class shopping. Everything is here, but sort of stacked up on the cheap, no frill decoration, semi warehouse, not even muzak. I certainly went to check out what the Mexican do have that we do not. OF course, we must make certain corrections in that there are almost as many people in Mexico City than in Venezuela so certainly variety of brands is a given. But Mexico also suffers of a climate that does not make it particularly favorable to milk production. About half the country is arid to desert like or too mountainous for any use. And how many Mexicans at that, with a considerably rising income these past few years. Surely they must be having a milk shortage even worse than Venezuela, if the economic theories of Chavez are right on shrinking world supply. We have been told that the milk shortages in Venezuela are solely due to larger income of the poor and the difficulty to find milk to buy since them naughty Chinese have started eating morning cereal. So let's see what I found. 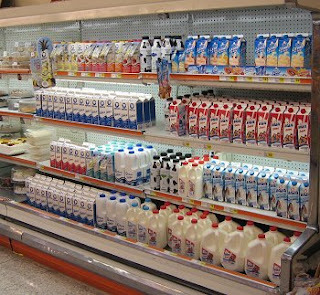 First picture is the huge section of long duration, UHT, milk. Variety and quantity and in cases is the word. 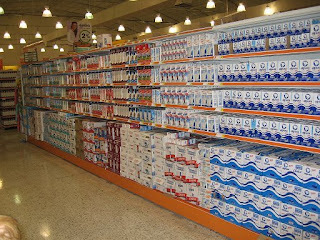 In Venezuela when you find such milk, you are usually limited to no more than 6 liters at best. Here you can buy two cases and no one will say peep squeak. 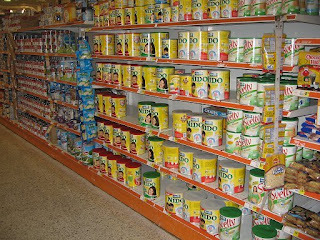 The powder milk was also a rater small section but with a diversity that we used to have in Venezuela and that now we cannot even dream on... Then again why woudl "la commercial" have a big powder milk section when folks can get enough of the other varieties? So? What gives? How come Mexicans in a neighborhood that does not look any better than, say, El Paraiso or Sabana Grande have so much milk? Boat just shipped in? Smarter at snatching milk away from them greedy Chinese? Do they just happen to produce enough for their needs? Did Chavez lie to us? Or does he want us not to eat cholesterol foods so he created this scarcity at home? 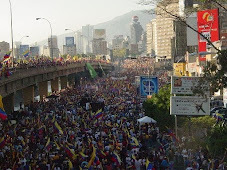 Meanwhile, by typing the search words "food shortages" on the top left of this page you will be able to find plenty of picture of missing items in Venezuela, such as milk. Draw your own conclusions.